Nougat which is released to developers to play with it at I/O conference. Google this year has been slightly ahead of schedule when it comes to releasing the next version of its Android operating system, Android 7.0 Nougat, for mobile devices. The company released the first developer preview a full two months ahead of I/O conference giving developers a chance to play with it. Google also confirmed the official name of next Android version, Nougat, in June. Now, if a mobile carrier and a major Android OEM are to be believed, the all-new Android Nougat will be available to Nexus users starting Monday. According to Canadian mobile operator Telus, the final Android 7.0 Nougat build will start rolling out to the Huawei Nexus 6P and LG Nexus 5X beginning Monday. LG, on the other hand, in an official document has confirmed that Android 7.0 Nougat will be rolled out to Korean G5 units from Monday. With both companies mentioning the same day for availability of the final Android N release, it does appear as if Google may officially start seeding the final build in the time-frame. If this comes out to be true, we may also see the launch of the platform lead devices for Android Nougat to be announced on Monday itself. However, it is worth noting that Google is yet to announce a date for release. 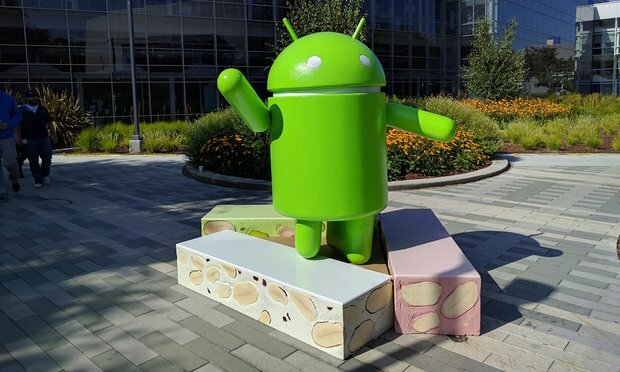 We can expect the final build of Android 7.0 Nougat to be available for the Nexus 6, Nexus 5X, Nexus 6P, Nexus 9, Pixel C devices, as well as General Mobile 4G Android One devices. The final Android Nougat public release will bring improvements like multi-window support, enhanced notifications, revamped doze, number blocking, and more. Release Date Leaked for Android 7.0 Nougat !